GOOD. *AUTOGRAPHED/SIGNED* by C.R. Anderegg on fly page with inscribed note addressed to "John Ford." blue photo-illustrated wraps, approx. 8.5'' x 11'', bagged for protection, shelf wear, creases to corners and hinges of covers, very light stains to page edges. GOOD+. First edition, 1975 print. 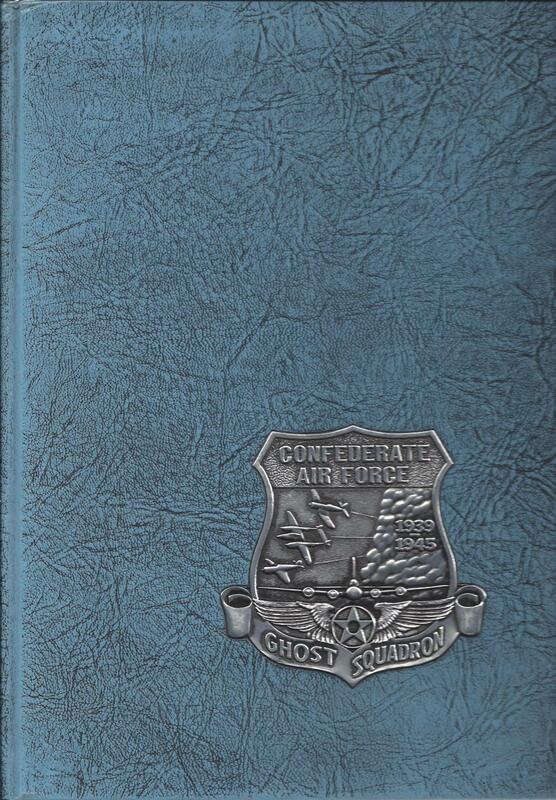 Blue cloth boards with embossed cover decoration, approx. 9" x 12", illustrated end pages, light shelf wear. GOOD/GOOD. light blue illustrated jacket, dust jacket in archival plastic protector. approx.6.5'' x 9.5'', 330 pp., small chips to corners and spine ends, closed tears to edges of jacket, underlining and highlighting to text throughout book. 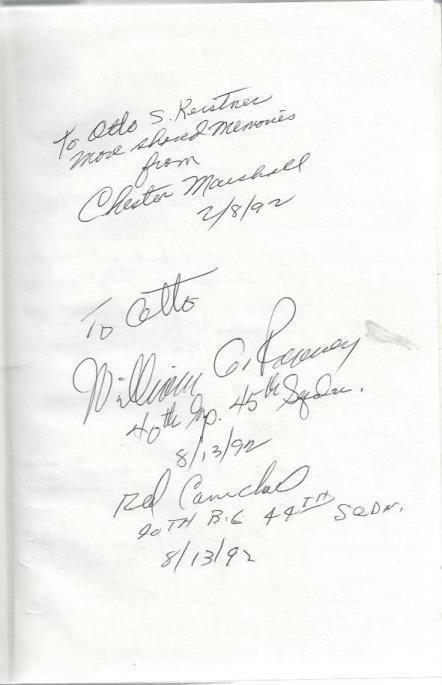 *AUTOGRAPHED/SIGNED* by author Chester Marshall on fly page with inscribed note addressed to "Otto S. Keistner," includes names and possible signatures of many B-29 pilots and crew on pages before title page. GOOD/GOOD. 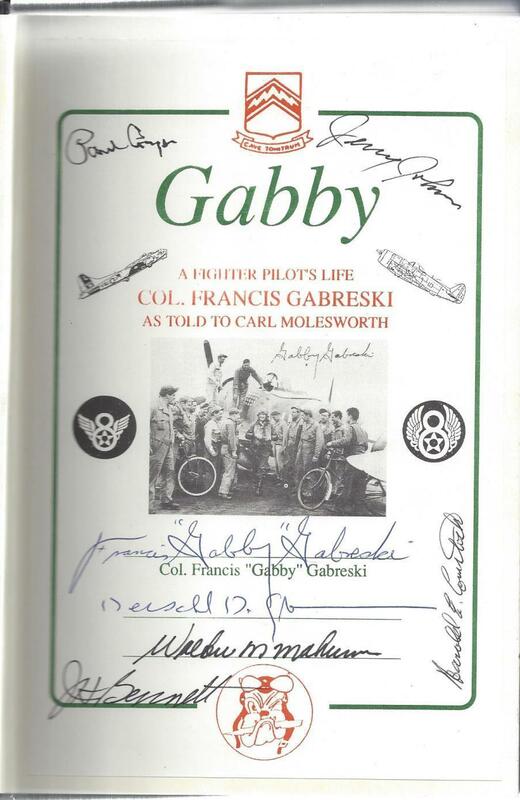 *AUTOGRAPHED/SIGNED* by aces Francis "Gabby" Gabreski, Paul Conger, Walker M. Manhurin, Jerry Johnson, Harold E. Comstock, Joe Bennett, and Herschel "Herky" Green. green photo-illustrated jacket, dust jacket in archival plastic protector. price-clipped jacket flap, light shelf wear, light spine lean/roll. GOOD+/GOOD+. 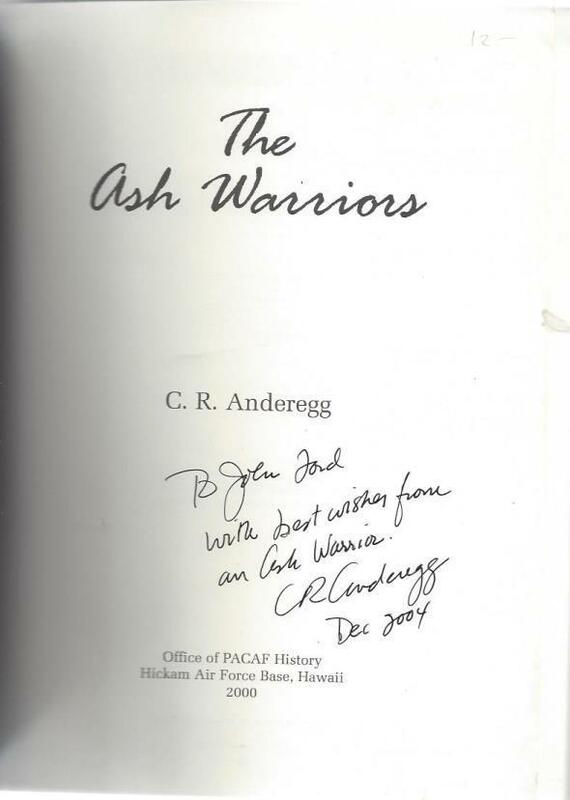 *AUTOGRAPHED/SIGNED* by General Chuck Yeager, signature addressed to "Richard Navarro." Lobby card is in an 11'' x 8.5'' frame, very light external wear.